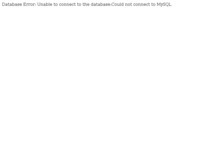 Motori is no. 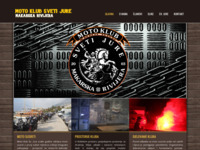 1 web portal for Motorcycles in croatia. It's central point to get inforamtion on any related subject. 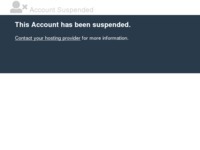 Including classfields and forum. 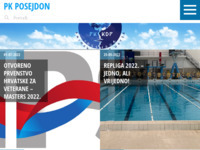 Largest and oldest Croatian swimming club, memeber of HAŠK Mladost, odler than 100 years. 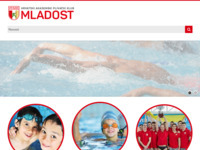 With numerous famous swimmers such as Aleksej Puninski, Gordan Kožulj and Petra Banović organizes each year the famous Swim meeting Mladost. Private pilot and parachuting school with the biggest experience in schooling pilots and parachuters, it was founded in 1990. Fencing news, informations about club. 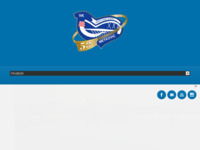 Official site of ice-hockey club Zagreb. 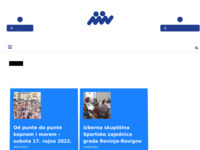 Information on all sport teams in Rovinj, the Rovinj's sport association and the Valbruna Sport d.o.o. 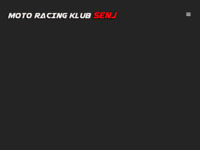 Our page contents all basic information about our club as well as fencing as a sport. So there are information where, when and how are we training, how are we getting along, how we make fun, there are also our pictures and results as well as the gallery of the pictures from the latest tournaments. Everybody is welcome to enrol our guests-book and to attend the forum. Balon club Zagreb brings to you the ultimate experience of flying in hot air balloon. With our ten balloons we organise team building programs for up to 50 people, promotive flights, Champagne passenger flights, weddings in air and much more. Members of our club make the Croatian Hot Air Balloon team. Since 1987 we have been organising balloon festivals and competitions in Zagreb and all over Croatia. The Club also organises training programs for balloon pilots, crew membres, and observers according to international programs of the world balloonist federation. Balloon Club Zagreb is a member of Nacional Aeroclub of Croatia and IHC (International Hot-air balloon Club) international sport flying club. This is one of less known sports in Croatia. Softball play women and man in more of 70 countries in the world. Browse through our web site, write us about what you like and what you would like to see here or, better yet, play ball with us. Official pages of Ice hocey club "Mladost" - Zagreb. horse riding, western horse riding, riding school on beautiful lake Jarun. 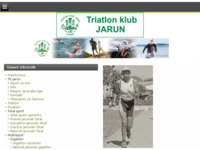 Information about marathon, long distance swimming and triathlon in Split and Croatia. School of Synchronised Swimming located in Zagreb, Croatia. Bowling club Policeman from Ogulin, information about us, score, history, and bowling school! 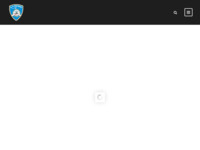 Official Site Of YC Histria Umag. 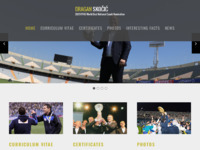 On our website you can find information about club, news, articles, competitions, results etc. Atletski klub Agram osnovan je u jesen 2007 godine. Grupa atletskih entuzijasta, bivših atletičara došla je na ideju stvaranja kluba koji će u pružanju svojih usluga nadzići očekivanja svojih članova. Polako se razvijamo u tom smjeru. Club from Zagreb with more than 12000m2 of playing grounds. We provide the best paintball experience forless money. Come and visit us. Reports on the latest happenings, announcements, tips for training, cross country league results, Turopoljska trka and children's cross. 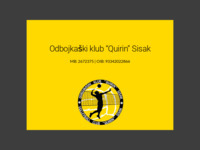 This is the homepage of Womans bowling club "Osijek '97", first bowling club in Croatia, presented on the Internet. We are in first croatian leguae. Here you can find our results, and something about our players. Join us and be part of big taekwondo family! We play ultimate frisbee. All people are welcome! Motorcycle club "Zupanja" was founded in the year 2005 with the purpose of gathering motorcycle owners and fans, developing cooperation with similar organizations in Croatia and worldwide, publishing publications, printings and souvenirs regarding the organization's activities, organizing meetings, theme exhibits and participating on various counseling regarding motorcycles maintenance. Informations about o-events we've organized and participated, our members and their results. Photos and impressions from orienteering competitions.  With good guidens and advices we can prepare you for your chosen routs. You do not rent just a plane at Mgv d.o.o., but also expert support and assistance. Our moto is Kindness, Good service, Simplicity and Practical service. Site of moto club from Senj city. Hollister MC is motorcycle club, mothercapter in Zagreb and chapters in Ivanić Grad and Split. County Union of School Sports Clubs, coordinate and implement school sports competitions of primary and secondary schools, follows the general policy of sport in schools and proposes measures to improve school sports. Place for Croatian master and open water swimming! Small town to big mountains! Familiarize yourself with the mountaineers Belisce and their campaigns. Urban sports hall Arena Varaždin is equipped for various sports and cultural activites such as, handball, ice skating, tennis, volley ball, basket ball. The swimming club with the longest tradition in Croatia. 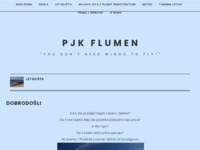 Paragliding club and school Flumen offers courses of flying, tandem flights, guided tours and information about flying in our region. 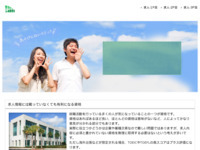 Here you can find all information you need. Ronilački klub AdriatiCro Zagreb osnovan je 2005. godine na inicijativu nekolicine entuzijasta i zaljubljenika u podmorje i ronjenje s ciljem da svoje znanje i iskustvo prenesu na sve one koji se žele baviti rekreativnim ronjenjem i napredovanjem u ronjenju. 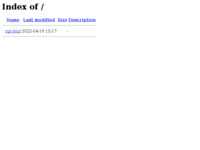 Web pages of motorcycle club Bombelles. Welcome on web pages of motorcycle club Bombelles. 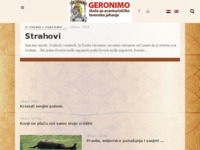 Na našoj web stranici možete pronaći informacije o judu,klubu,terminima treninga te naše kontakte. Obavještavati ćemo Vas o novostima u klubu, rezultatima natjecanja te stavljati slike s raznih događanja. My life, my hoby and occupation! Blanka Vlašić is a Croatian high jumper and current world champion. Badminton club „Medvedgrad 1998“ is the club with the most members of national team and has the most current national champions. The club has the long tradition of working with young players beginning with the age of 7-8 and making top class players in different age categories. We have had Chinese coaches for many years and have tried to copy Chinese style of badminton adjusting it for Croatian characteristics - fun and game loving people. 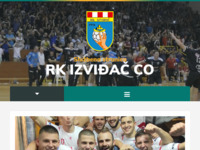 The club is the first winner of international Croatian-Slovenian league. Our best players play other international leagues and international tournaments in Europe. Official web site of rock climbing club Grip Bjelovar. 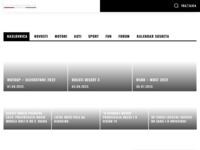 News, announcements, climbing reports and club activities. 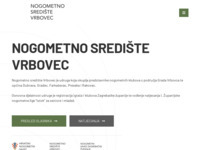 Aeroklub Zagreb je neprofitna udruga građana udruženih sa ciljem promicanja zrakoplovne kulture, sporta i rekreacije. Rad kluba odvija se kroz djelatnosti sekcija pilota jedrilica, pilota aviona i padobranske sekcije. Unutar kluba također djeluje Klub zrakoplovnih veterana. Aeroklub Zagreb ima ustrojenu Arhivu i knjižnicu u kojima je sustavno sakupljana građa i koja predstavlja jedinstvenu arhivu zagrebačkog i hrvatskog zrakoplovstva. 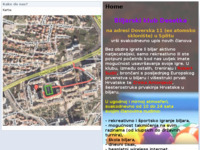 Aeroklub Zagreb član je Zagrebačkog zrakoplovnog saveza, Zrakoplovno-tehničkog saveza Rudolfa Perešina i Kluba Zagrepčana. Aktivno surađuje sa ostalim klubovima u gradu i zemlji, a u novije vrijeme i sa klubovima u inozemstvu. Danas u klubu djeluje preko 200 aktivnih članova letača i skakača. Aikido club from Rijeka promoting the original O´Sensei Aikido based in true Budo, human and spiritual values. 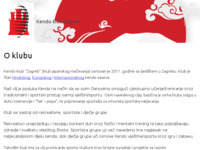 Informations about sport shooting club Dalmacijacement Solin and informations about sport shooting in Croatia. Kuglački klub Donat zaštita Zadar, KK Donat Zadar. 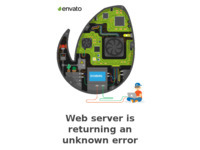 Website ZK Rode - Prelog. Tai Chi Chuan is an ancient Chinese martial art, based on using the vital energy - chi. And much more than that, it is also the art of overall balance of human mind, body and spirit. It is available to people of all ages, and patient practise of its slow, smooth and natural movements, connected to sequences which we call forms, leads to good health, strong and flexible body, concentrated mind an clear spirit. 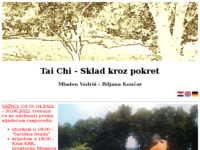 The way of Tai Chi is unlimited, and study of this art is a lifetime project. Open water swimming club Split is the best swimming club in Croatia. For several years provides almost all Cro champions , winners of the Cro Cup and Cro team members. 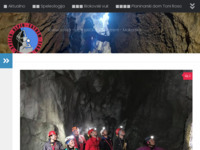 Speleology and alpinism club Ekstrem Makarska. Planned and organized development of this sport, promotion and popularization of this sport, constant practice and training members for competitive sport, professional and pedagogical training athletes and staff, and taking measures and actions with regard to improving and popularization of karate in the form of organizing a karate school for beginners and karate competitions . 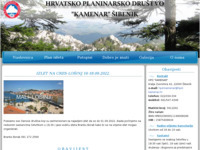 The Croatian Mountaineering Society of the Croatian Institute for Health Insurance was established on December 4, 2007 at the initiative of the HZZO Employee Mountaineer. The seat of the company is in Požega, while in other towns the mountaineers are organized in the mountaineering sections operating in their regions. Several bigger trips are organized annually for 2 or 3 days, where hikers from the Croatian HZZO participate from all over Croatia. 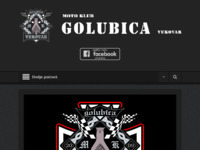 Sports motorcycle club "Golubica" Vukovar (abbreviated name: Moto Club "Golubica" Vukovar) is a motorcycle riding club, registered association of citizens established for enjoying the motorcycle rides, motorcycle gatherings and also organization of humanitarian actions. Official page of Beach Handball Club Dubrava from Zagreb/Croatia. 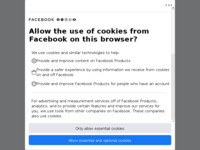 Napredak - službena web stranica nogometnog kluba. The main objectives of the Club are the development of psychological and physical abilities of young people and the membership through engaging in sports and other club activities, and providing conditions for recreational and amateur water sports. 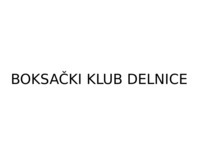 Boksački klub Delnice osnovan je 2006. g. na inicijativu Kristijana Hodaka - glavnog trenera i predsjednika kluba. Official Website of the Waterpolo Club "Cavtat" from Cavtat, Croatia. Službene stranice moto kluba Županja. Working hours: 10 - 24 h.